Do you want your children to open up and share with you more? Do you know something is going on with them, but they keep their emotions bottled up inside? These tips will help. My 4-year-old was acting funny. A lot had changed in her world recently, dad being away, changing houses, and changing countries… you know… big stuff. She seemed anxious, lost, and overwhelmed. I understood, I felt that way too. But it’s hard to ask a young child tough questions. It’s hard to get them to open up. It’s hard to get them to even understand what they’re feeling half the time. But I succeeded. I got her to open up. Even though we didn’t have one big D & M (deep and meaningful) talk that changed everything overnight, she started opening up regularly and got back to her normal self. 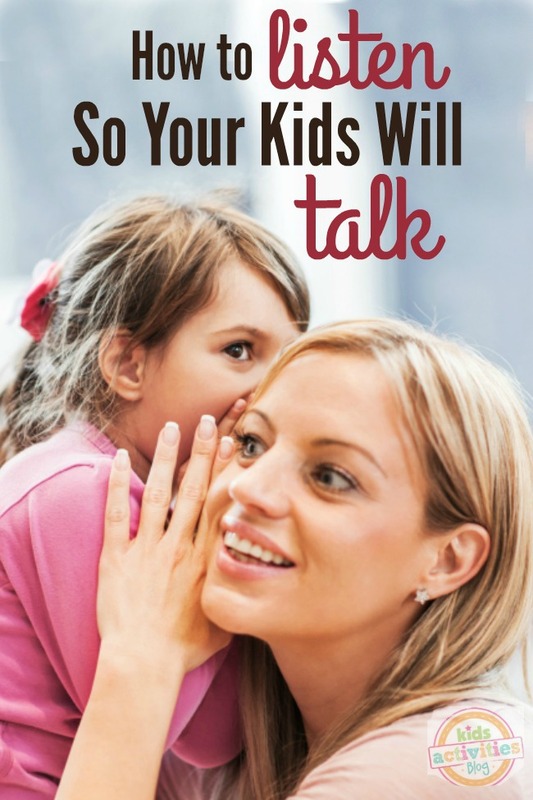 Here are some ways to listen so your kids want to talk to you. If you want to have a talk with your smaller children, get down to their level. Sit in a chair beside them, squat down, or even snuggle together at bedtime to talk. If a child is sitting and you are standing over them, that might make it more difficult for them to open up to you. By getting on their level they will feel more comfortable to share what’s on their heart. If you are busy with something that cannot wait, ask your child to give you a few minutes. Then, when you’re able to focus on what they are saying, have a talk. Don’t attempt to have an important talk, even with your preschooler, if you are distracted. They will know your heart isn’t in it and won’t feel the connection they are longing for. This doesn’t mean you have to drop whatever you are doing any time your child needs to talk but make sure not to multitask if the issue is serious to your child. If you have quite a few children and know they will come vying for your attention, find a quiet place. Go into your child’s room alone, take a walk, or even cook dinner together while the siblings are occupied. If you don’t want to make the conversation feel heavy or serious, ask your child to come with you on a few errands or to complete a project. The fact that your child is alone with you will give them a chance to open up that wouldn’t be there with the hustle and bustle of a busy home. If you can sense something is going on with your child, but they aren’t quick to open up, plan something together. Doing something alongside a person helps create a sense of trust and intimacy – particularly if this occurs regularly – and will give them a chance to work up to talking to you. Not everyone can jump right into an important conversation without breaking the ice. 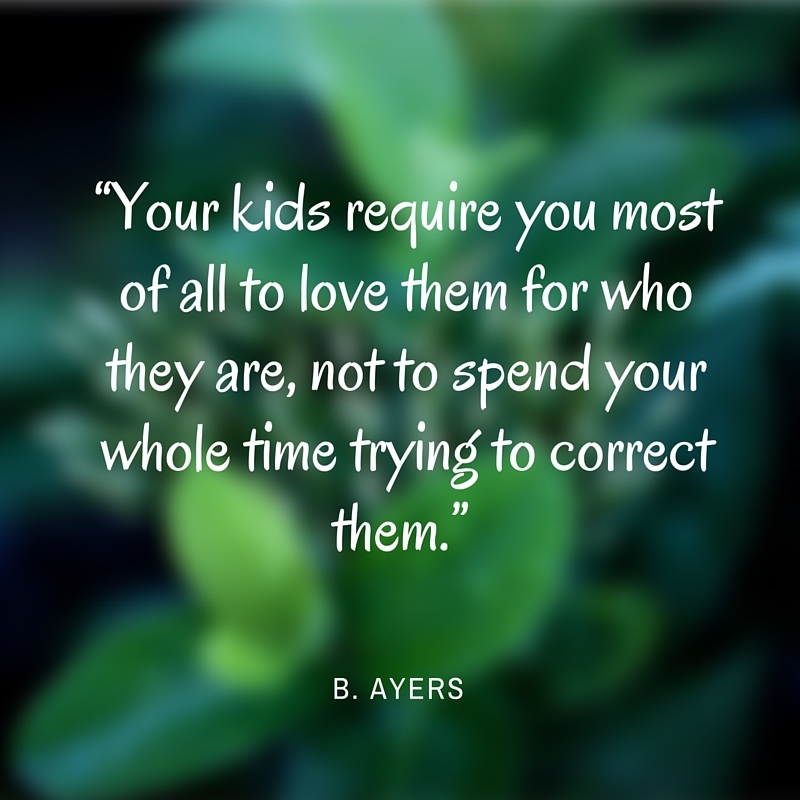 Once your child does open up to you, figure out what you think they want from you. Perhaps they just wanted an ear to hear or a shoulder to cry on. Maybe they needed a safe place to vent or share their feelings. Perhaps they want some advice or help, but be sure to ask them. A child may be put off if you jump in mid-stride trying to solve their problems. Ask if you can help, offer wisdom or guidance, remind them they are capable, but don’t try to save the day if they just wanted to open their heart to you. Just like adults, children want to share their hearts with someone cares. Someone who pays attention to their words. Someone who cares about them, not just how to fix their problems.